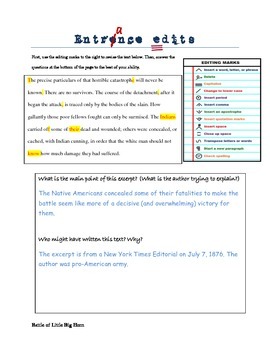 Students review and edit an excerpt from informational text tied to the current curriculum topic and then answer text-based questions. 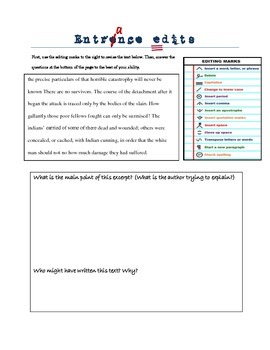 These warm ups incorporate language and mechanics skills as well as a focus on informational text as encouraged by the Common Core ELA Standards without detracting from Social Studies content. Includes answer key.